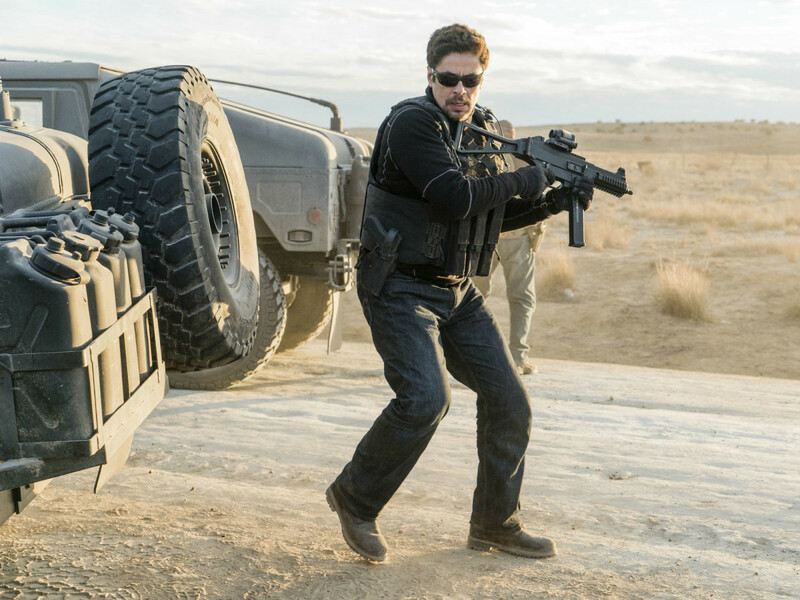 Benicio Del Toro in Sicario: Day of the Soldado. 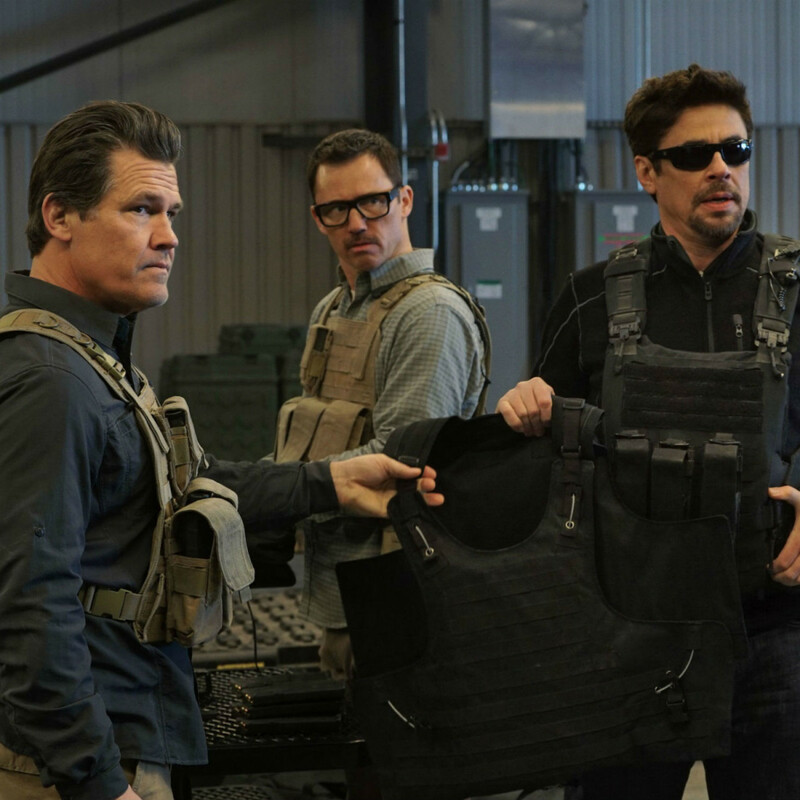 Photo by Richard Foreman, Jr.
Josh Brolin, Jeffrey Donovan, and Benicio Del Toro in Sicario: Day of the Soldado. 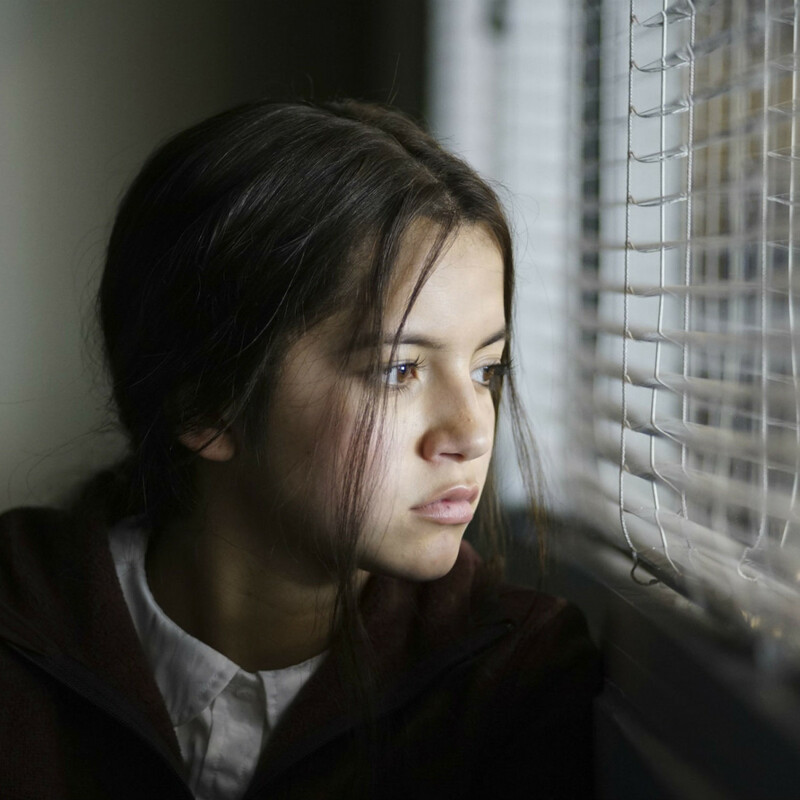 Photo by Richard Foreman, Jr.
Isabella Moner in Sicario: Day of the Soldado. 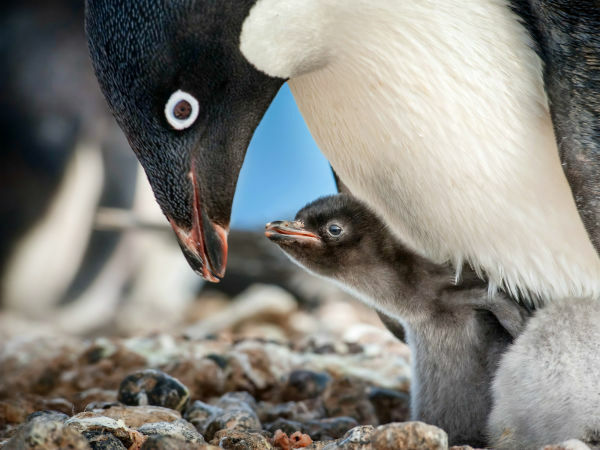 Photo by Richard Foreman, Jr. In the movie sequel culture we now live in, it shouldn’t necessarily be a surprise when any film gets a follow-up. Still, Sicario, a bleak and bloody look at the U.S.-American drug trade released in 2015, was far from a prime candidate for a sequel. But as written once again by the blazing hot Taylor Sheridan (Hell or High Water, Wind River), Sicario: Day of the Soldado turns the burgeoning franchise into more of an anthology than acting as a direct sequel. 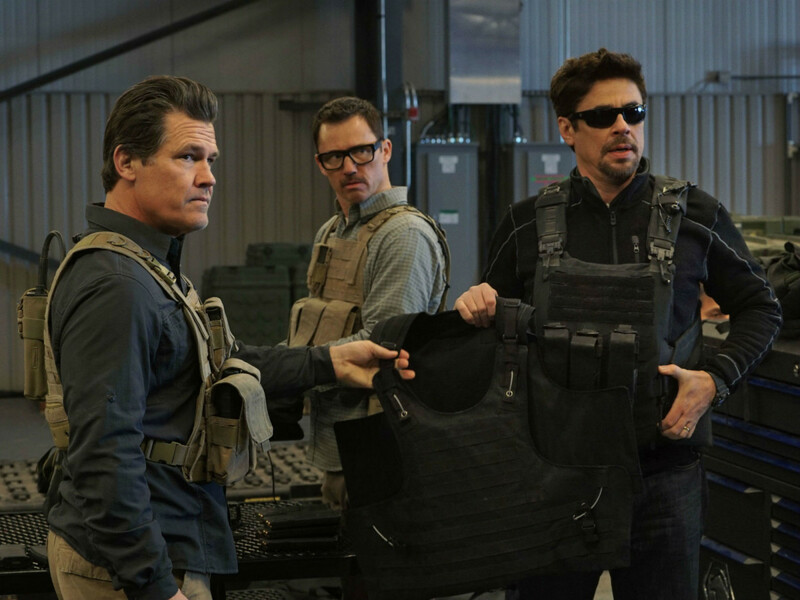 Federal agent/fixer Matt Graver (Josh Brolin) and hitman-for-hire Alejandro (Benicio Del Toro) are back, this time working with the U.S. government to confront human smuggling across the Mexican border. That might seem to be an of-the-moment type story, but Sheridan and director Stefano Sollima present an even more dire scenario than current affairs. The drug cartels are thought to be bringing in terrorists from other countries, resulting in a number of horrific suicide bombings. The powers-that-be in the U.S. decide the only way to combat this is by starting an inter-cartel war inside Mexico, with Matt and Alejandro at the forefront. The plot is about as intricate as they come, involving both a kidnapping of a drug lord’s daughter (Isabella Moner) and a side plot about a young American boy recruited into smuggling people. Not everything makes sense all the way through, and various threads fall apart the more you think about them. When the impetus of the entire story is moved aside with barely a mention, it’s unclear if it’s supposed to be a commentary on the complexities of global warfare, or if the filmmakers simply dropped the ball. Still, the intensity of the action and the commitment of the actors keep the film above board for the most part. 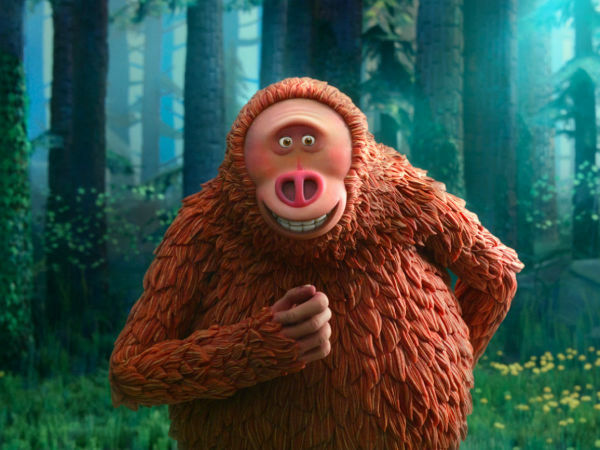 You may hardly, if ever, condone the actions of the lead characters, but it’s difficult to argue that the film isn’t effective in showcasing what they do. The first film reveled in moral ambiguity, and, if anything, the second film doubles down on that idea. Both Brolin and Del Toro are now entrenched members of the Marvel universe, but they’re arguably more memorable in their respective roles in these two films. Graver is the prototypical American badass, always doing whatever it takes to get the job done, and Brolin plays him with zeal. Del Toro is quieter but equally successful as Alejandro, always seeming to be in the right place at the right time. Sicario: Day of the Soldado is downright depressing in its worldview and could have use a few storytelling tweaks. 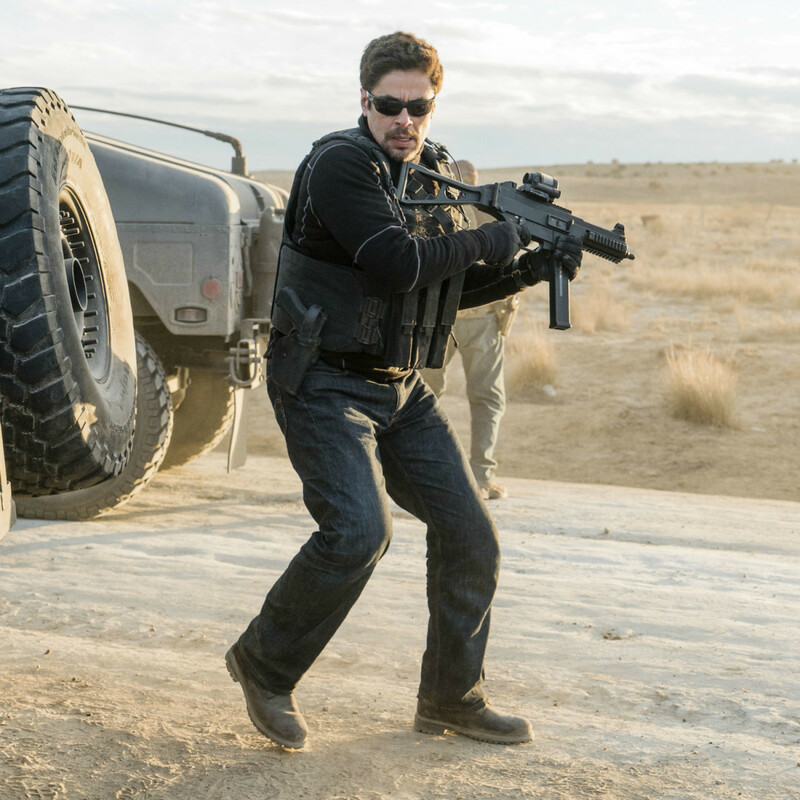 But it also proves itself a worthy if unlikely sequel, paving the way for perhaps more Sicario films in the future.